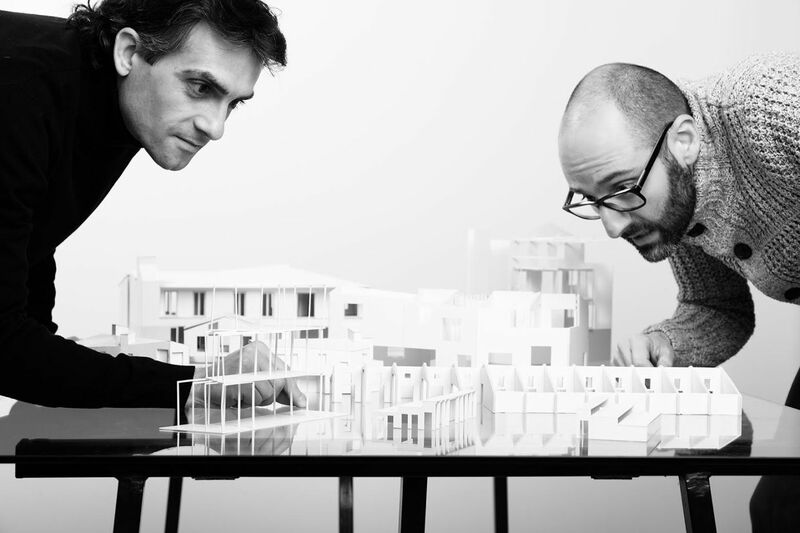 unparelld'arquitectes is an architectural office led by Eduard Callís and Guillem Moliner based in Olot. The projects the office develops are a meeting place between different worlds and scales. We foster exchanges between infrastructure and decoration, between domestic sphere and public space, between the city and the garden. We work with the timeless values of architecture. We build radiant scenes, scenes capable of activating the activity, of narrating a new story that is attentive to real life and of building an atmosphere according to its characteristics of space, symbolism, materiality and light. The office's work has been exhibited in different European cities and has been awarded by the Spanish Biennial of Architecture and Urbanism (2018), Palmarés Technal (2018), Girona Architecture Prize (2017/2016/2004), AJAC Award (2016/2012), Darc Awards (2016), shortlisted at the AR Emerging Awards (2016), European Award for Urban Public Space (2016), Lamp Lighting Solutions Awards (2017/2015) or FAD Architecture and Interior Design Awards (2017/2014), among others. Eduard Callís is PhD in architecture from Polytechnic University of Catalonia (UPC) with the thesis “The Architecture of Spanish Dams”, professor at the ETSAB Barcelona School of Architecture (UPC), previously at Girona and ETSAV, and member of the HABITAR research group. Guillem Moliner is an architect graduated from Polytechnic University of Catalonia (UPC) and a professor of interior design at Olot Art and Design School.